Get our THREE popular Feldenkrais videos for the price of TWO. It’s like getting one video FREE! Many people have improved the flexibility of their hips, back, neck and shoulders from these videos. They report better posture, more vitality and less aches and pains. The Rollercise Back Relief video will teach you how to improve the comfort and flexibility of your back by using a foam roller the Feldenkrais way. Equestrians: You’ll especially love the way these videos help you become more balanced, elegant and effective in the saddle. This video download bundle makes a great gift! 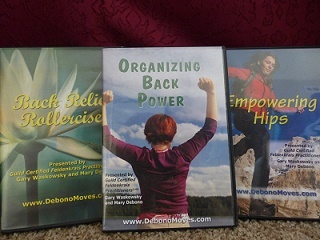 You’ll get all three video downloads: Organizing Back Power, Empowering Hips and Back Relief Rollercise. Total video length is approximately 106 minutes. Now only $29.90! Please note that these are digital downloads and no physical products will be shipped. 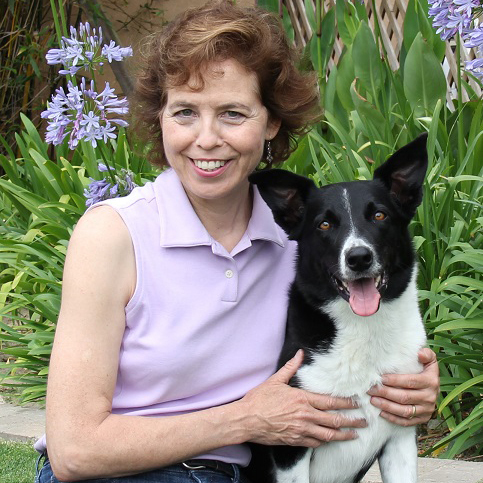 Brenda Aloff says: “The morning before I was to ride with a well-known dressage clinician, Vicky introduced me to your Feldenkrais® Awareness Through Movement® lessons (exercises). We did one of your exercises that you created specifically for riders.